Montreal is a culturally diverse city filled with music and art. OUMF is the festival that pulls those aspects of the city together. The annual back-to-school block party was held on St. Denis street from Sept. 6 to 9, and featured a number of street performers, musicians and art exhibitions, all of which were open for free to the public. St. Denis street was filled with music, street exhibitions and some street performers to entertain the audiences. “It adds texture to the event and it reminds me of [the] Just For Laughs [festival] as a way to witness kids watching weird entertainment on the street,” said Mikey Rishwain Bernard, one of the programmers for the OUMF festival. The festival’s primary concentration is meant as a back-to-school celebration for the students who attend the universities in Montreal. “The purpose is either to welcome the students back to school and [also for] the students who have never been to Montreal in their whole lives,” Rishwain Bernard explained. 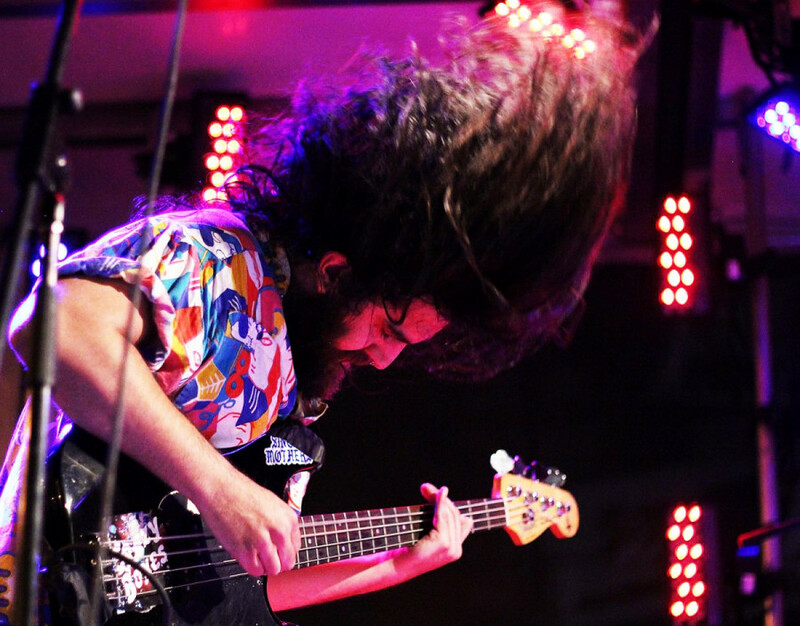 The students who check out this festival are able to meet new people and bond over the different kinds of music and art forms featured throughout the festival. For its 7th edition, OUMF assembled a lineup of musicians which included some internationally renowned artists such as DJ Yella from the rap group N.W.A. and Win Butler from the band Arcade Fire. This festival didn’t restrict itself by only having some big names onstage, but also supports young up and coming musicians such as Sashu, Ryan Playground and the all-girl French hip hop collective, Bad Nylon. As well as some local talents such as VNCE Carter from Dead Obies and GrandBuda. 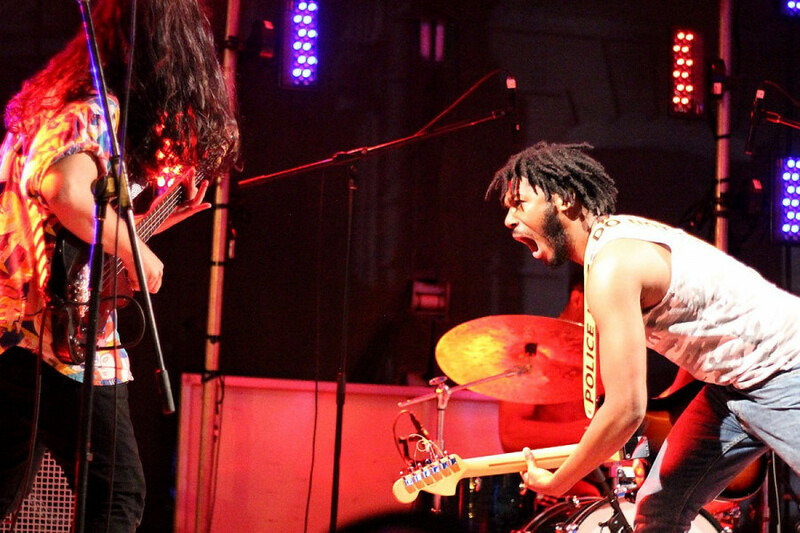 On Thursday, Toronto punk-rock band psychedelic-pop band, the OBGMs, put on a powerful show before approaching the mic to share their experience performing at OUMF with the audience. The OUMF festival had given the band the opportunity to perform onstage in front of a crowd back in 2014. This year, the festival invited the OBGMs once again to play their set on the outdoor stage. “The good thing about OUMF is that they introduce up and coming artists to a diverse group of people, while [also] supporting Quebec artists that are doing different things,” Densil McFarlane, the guitarist and lead singer of the band explained. Their feelings of gratitude were shared by plenty of others including the members of Bad Nylon. ‘’We feel so lucky to be here. We know that there had been some debates about the lack of feminine artist in usual festival line up, so we acknowledge the spot that is being offered to us, but we also worked really hard for it. So we feel like we deserve it’,’ said Zoé Tremblay, one of the group members. And they sure weren’t lying about the hard work they put in as the atmosphere at their show was certainly colorful and explosive. The crowd was intensely captured by the energy displayed by Bad Nylon. Walking through St. Denis street on the last day of the festival felt very vibrant from having students and other festival goers slowly making their way to the Jansport Zone, one of the festival stages on Emery street. The north side of the street in between Ontario street and Sherbrooke street featured an interesting component where anyone could grab a small paint bucket and brush and paint anything they wanted on the street. “It’s like a big circus out there and it’s a lot of fun with having people stopping around and taking part in these activities,” Rishwain Bernard said. The street was filled with drawings about peace, love, messages about loving OUMF and other drawings imprinted on the street, giving it the area an overall warm and colourful atmosphere. After admiring the bright art, a crowd started to form in front of the Fido stage, getting ready to enjoy some dancing to the electronic beats from the musician, Ryan Playground. This musician used her laptop to incorporate some pre-recorded vocals, but she used mostly her soundboards and mixing pads. This helped to creating tonality levels such as augmenting several bass levels to the tracks, changing the colours background LED lights that were used for her songs. The lights made it difficult to notice the artist, but the crowd enjoyed the thumping bass beats merged with the soft pre-recorded vocals that were coming out of the multiple speakers surrounding the stage. 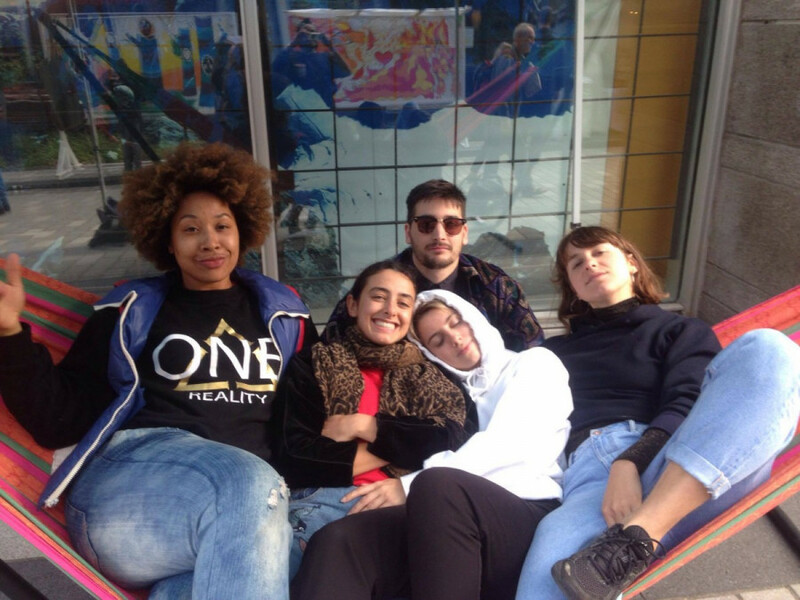 Overall, the OUMF festival gathered several ages—a majority being Montreal university students—to enjoy themselves and bond over the variety of performances that were put on.